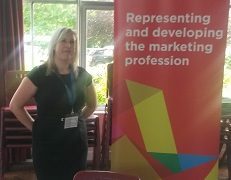 Kate Fairbrother took time out from her day job as Compass Associates Communications Manager to represent the marketing profession at a local secondary school careers fair. 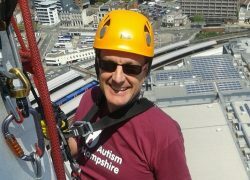 Compass Associates employee Ewan Buckle has raised over £200 for Autism Hampshire abseiling 100 metres down the Spinnaker Tower. Visit us at Stand 38 and win your NMC PIN paid for the first year!